If you’re considering this laptop, it should be because you’re on a tight budget. For most things, it’s underpowered and doesn’t pack enough to make it your long-term go-to daily driver. But if you have very specific, low-intensity needs then this might just be the right deal for you. 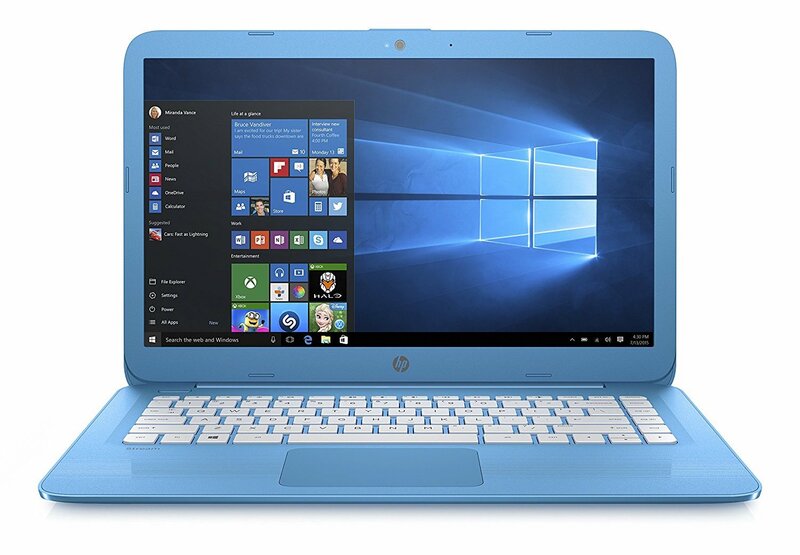 The inexpensive HP Stream 14 is an attractive, lightweight 14-inch laptop that comes with a full version of Windows 10. The 14-inch display is probably what makes it a best-seller on Amazon (remember, the MacBook Pro is 13.3inches small). A low price on a laptop can make up for a lot of shortcomings. That is, as long as those shortcomings do not get in the way of productivity. As long as your needs don’t extend too far beyond YouTube clips, emails, web browsing and some word processing you should be fine with the HP Stream 14. The 14-inch shell is light at only 1.4kg, and looks good too. 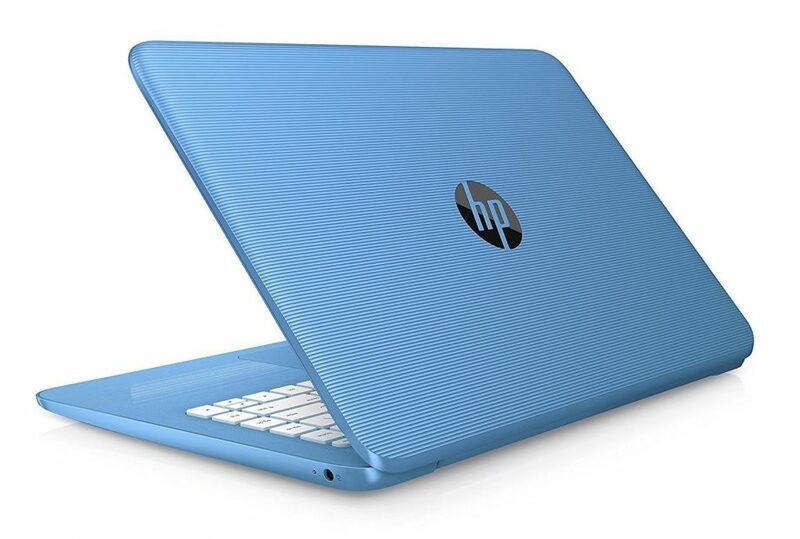 Given that the shell is bright blue, it might be for kids as an entry-level laptop. Well, it does have three USB ports, an SD card slot and HDMI out (that’s more than the 2017 MacBook Pro, ha ha!). That means it’s likely to aid you in getting your work done, whether its viewing pictures from your camera or sending an email to a work colleague the HP Stream 14 packs enough of a punch to get this done. It’s built from plastic, it looks like plastic and it definitely feels like plastic. The keyboard is a keyboard, but those who take crisp keystrokes religiously will probably be driven mad when trying to use this machine. Though the keys are evenly spaced out, they don’t all offer the same taptic response. Nor are they consistently even to type upon. The trackpad is a little on the small side too, and clunky to use. Windows 10 does support multi-touch gestures, and so does this trackpad – but I would recommend staying well clear of experimenting for the sake of sanity. A 14-inch display is generous at this price point so let’s not forget that. However, the quality of the display is why it’s bundled in at this price-point. For basic word-processing it’s fine but as soon as you enter the realm of media playback you will notice how much superior your smart phone display is compared to this bezel. But, for those who care – and I doubt many people buying a small laptop for under £200 do – you can hook it up to a full HD display using the HDMI out port. The processor is designed to be energy-efficient and low-powered. It does exactly that. The machine never gets too hot thanks to the low power consumption of the Intel Celeron processor, but you do have to pay the price in responsiveness. Trying to process files or applications does take longer than it should, but once things get ticking over you won’t notice it too much. What I found weird was the inclusion of 4GB of RAM, yet only 32GB of storage. Windows 10 will take up about half of the storage so if you’re looking to install applications you will certainly need to make use of the SD card slot. Never-the-less, it does feel as though 4GB of RAM was only included to satisfy the need of the 64-bit operating system and processor. It’s a bit overkill for a machine that doesn’t have enough storage or processing power to run a photo-editing, multimedia, or video editing suite! I think the HP Stream 14 is perfectly compared to the Linx 1010b tablet. It’s small, lightweight and can carry out light tasks just fine. It has a keyboard and well-sized display adequate for documents, emails and general browsing. Though it will pack up if you open more than five tabs on Chrome, or stream a full HD live stream – it clearly wasn’t built for that. High schoolers, full-time mothers and grandparents will love this machine for its low price-point, as it has enough to fulfil their needs. And that is exactly who this machine is for.